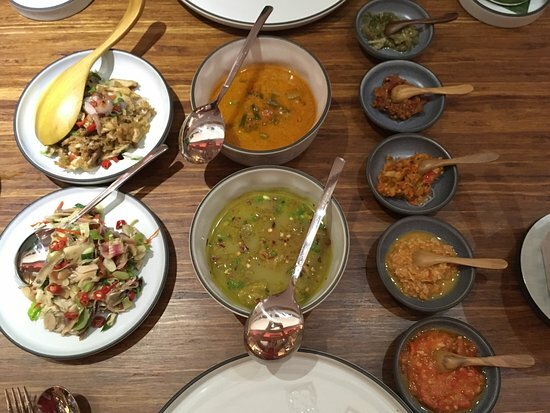 Collecting authentic, original recipes from many different regions in Indonesia, Nusantara by Locavore offers a tantalising diversity of dishes with an abundance of flavours. The restaurant itself is cosy and designed to make you feel at home, as if you’re in your own dining area. As for a sample of the dishes, we’ll start off with my favourite – the Udang Telor Asin from the Makassar area of South Sulawesi. A wonderful combination of flavours created by taking the freshest of shrimps and deep-frying them before blending them with salted egg sauce. Next, we have Cincang Karo from Brastagi in North Sumatra; if you love pork, this is for you. 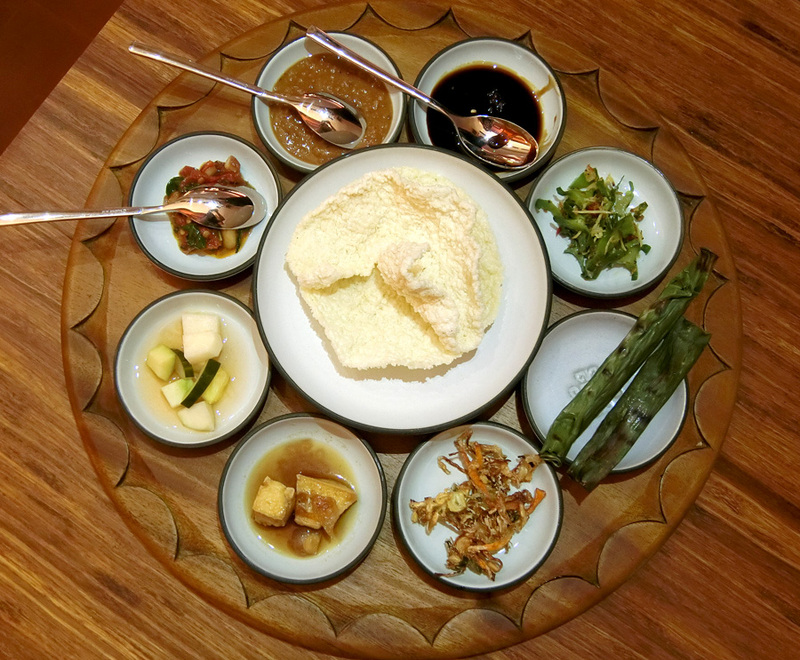 Pork belly is cooked in bamboo with young banana stems, cassava leaves, banana blossom, coconut and kecombrang. Cincang Karo tastes even better when served with savoury Nasi Bira from the market village of Payangan in Bali, a mix of rice, fried soybean, kecombrang and anchovies. Nasi Bira is a special rice dish which, under normal circumstances, is only served once a year for ceremonial purposes. Finally, for dessert, you must try Nusantara’s delicious Es Pisang Ijo, a great finale for your meal. Steamed banana is wrapped in a pandan-flavored paste and served with bubur tape Ketan, roasted peanuts and cane syrup, probably one of the best versions of this favourite dish on the island.